At Issonni Hair Extensions Ireland, Dublin 6w salon, many hours are spent correcting botched jobs. Do your hair extensions look like this? 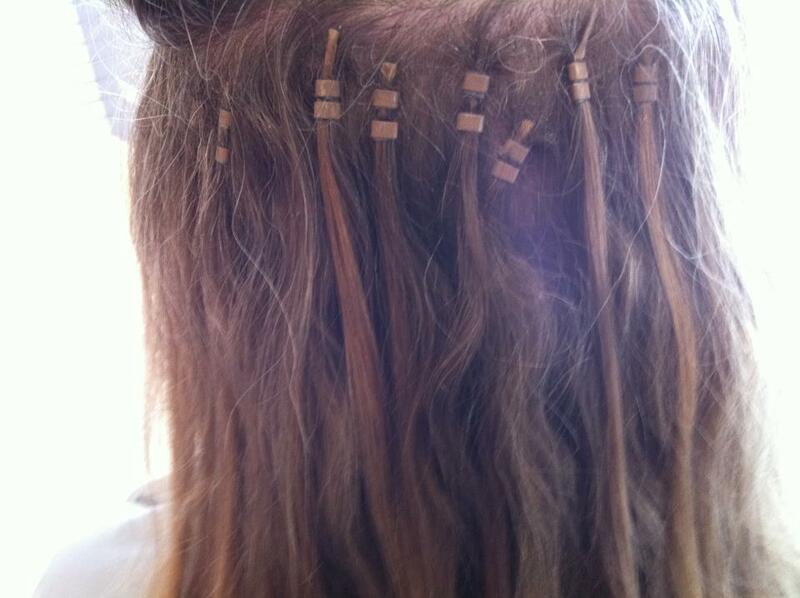 Our client happily let us take a picture of these hair extensions so we could share with people what is out there. Buyer ‘BEWARE!’ Is your hair extension technician certified and experienced? These were put in about a month before the cleint came to us the cost: €150 for application + €120 for hair total financial cost to the cleint: €270 euro with one free maintenance included. She returned only a couple of weeks after having them applied to have the free maintenance, as after a couple of days they were falling out! This type of job is the recipe for damaging your natural hair & CAN ensue in hair loss. Her new set with Issonni Hair Extensions were €325.